I’ve never really been that familiar with Haim outside of name recognition, but whenever I did hear their name brought up it was always spoken with a certain level of respect for their craft; whether the person speaking of them was a fan or not. I was surprised to find out that Something To Tell You was only their second album but that meant I wasn’t too far behind the curve. First thought after my first listen – super unique. I haven’t really heard any act like them before. They’re like a unique mix of old and new that pays homage to their influences with a wink while still sounding completely new and original. For example, I couldn’t help but get vibes of Michael Jackson on “Want You Back” or hints of 80s soft-rock on “Little Of Your Love” and “Found It In Silence,” while “Walking Away” sounds completely modern with clear elements of R&B. They’re obvious students and aficionados of all forms of music and it’s shaped their own sound into something all their own, and it’s all delivered in a deceptively accessible package full of great harmonies and melodies that belie the more complex and emotional notions of their writing. In short, I was highly impressed from my first Haim experience and it’s a wonder to me why they aren’t bigger than they already are. Have you heard Something To Tell You? What’d you think about it? Were you a Haim fan before this album? Did it live up to your expectations? Let me know in the comments below and be sure to leave your own ratings and reactions to the album. 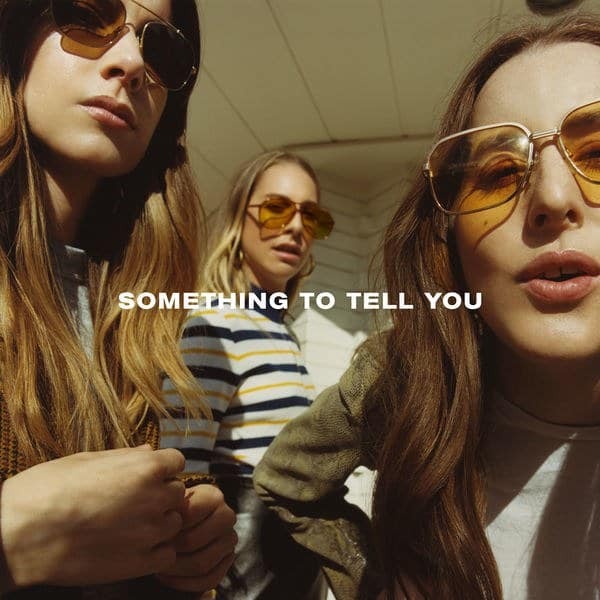 Something To Tell You was my first Haim experience and it left me impressed not only with their great harmonizing and melodies, but also their deceptively accessible sound that belies their underlying complexity and stylistic breadth. It's a wonder they're not bigger than they already are yet.